1. In a non-metal bowl, combine canola oil, garlic, ginger and red pepper flakes. Add shrimp and stir. Refrigerate for about an hour. 2. Heat wok or frying pan over high heat. 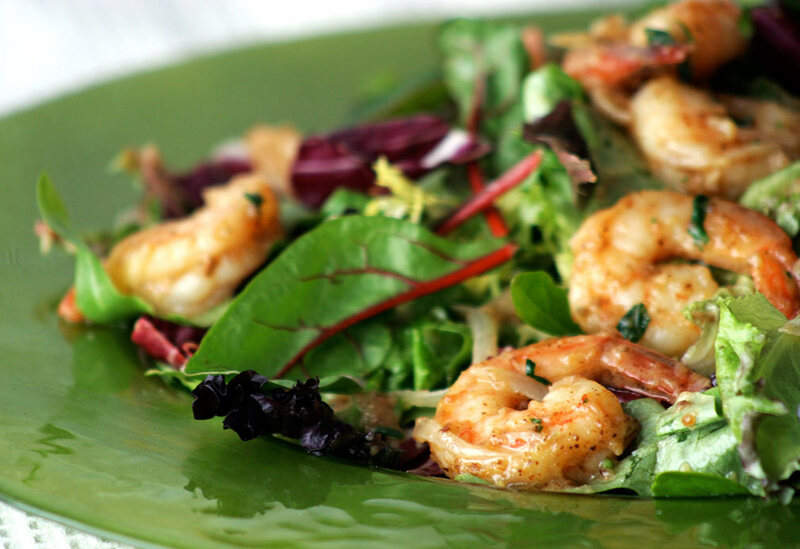 Add marinade and shrimp and cook 2-3 minutes until shrimp change to a pinkish color. Remove to a plate. 3. Add canola oil to pan and add the vegetables. Stirfry about 3 minutes until tender crisp. 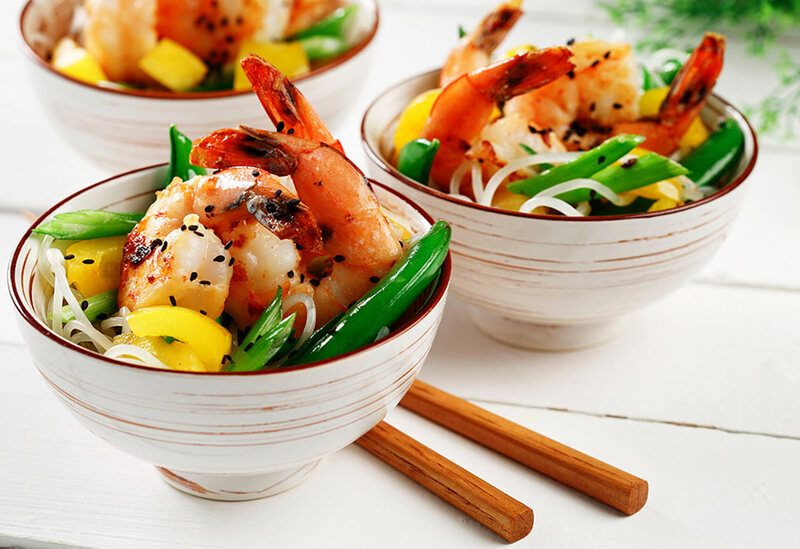 Return shrimp and juices to pan and stirfry another minute. 4. Season with salt and pepper and garnish with freshly chopped cilantro and black sesame seeds. 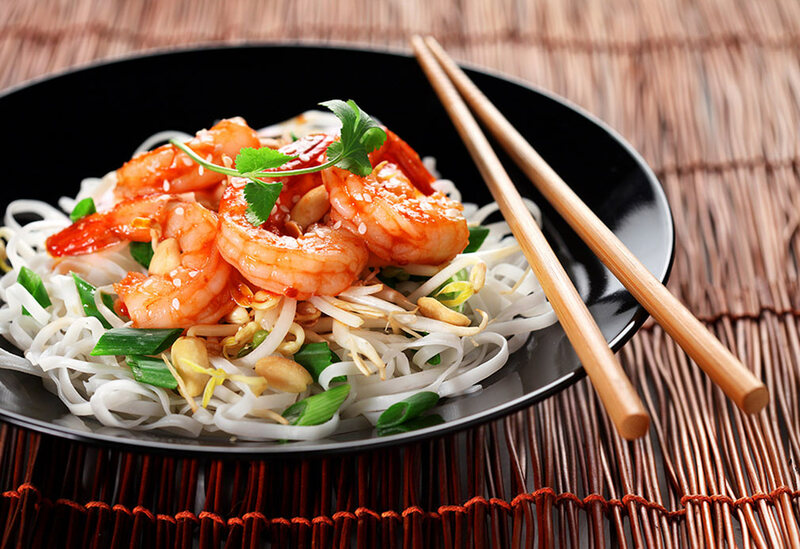 Serve over steamed noodles or with rice. 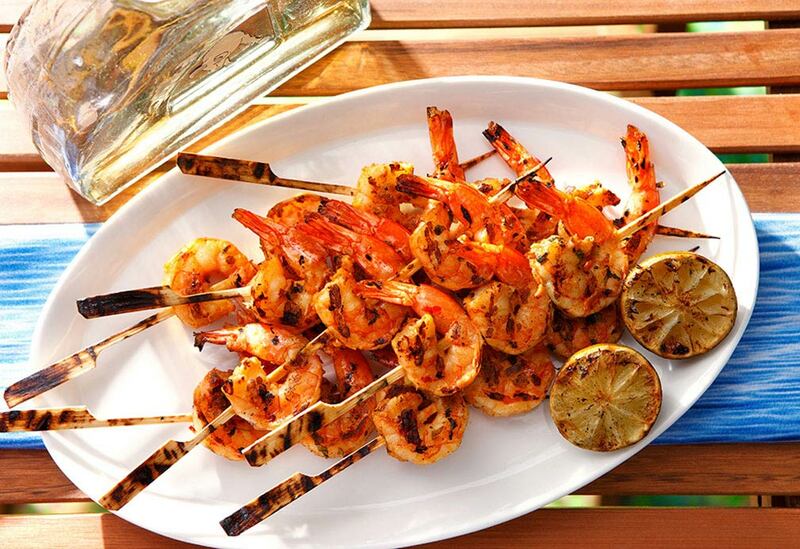 Recipe Variation: Replace shrimp with 3 chicken breasts and double the recipe of marinade. Chicken produces a less spicy dish. Here is a Thai restaurant favorite that's simple enough to make in your own kitchen. Added bonus: you can control the spice level.